Sonic will be offering their Jr. Deluxe Cheeseburgers for 89 cents this Wednesday, March 2, 2016 at participating locations. 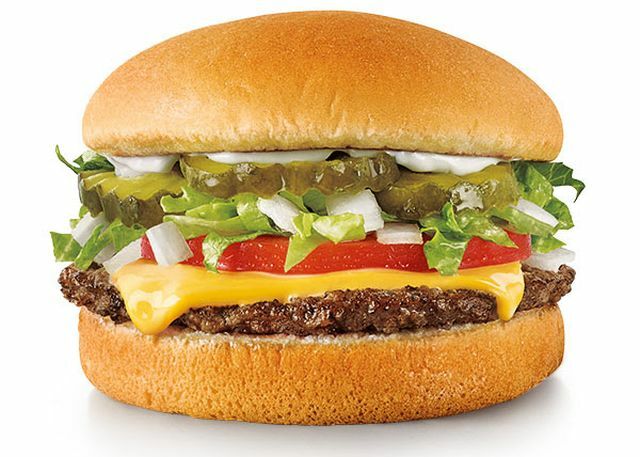 The Jr. Deluxe Cheeseburger includes a Jr. beef patty, American cheese, crinkle-cut pickles, chopped onions, shredded lettuce, sliced tomato, plus your choice of mustard, mayo, or ketchup. It regularly goes for about $1.50 (varying with location). You'll need to mention the deal when ordering and it's limited to five Jr. Deluxe Cheeseburgers, while supplies last.